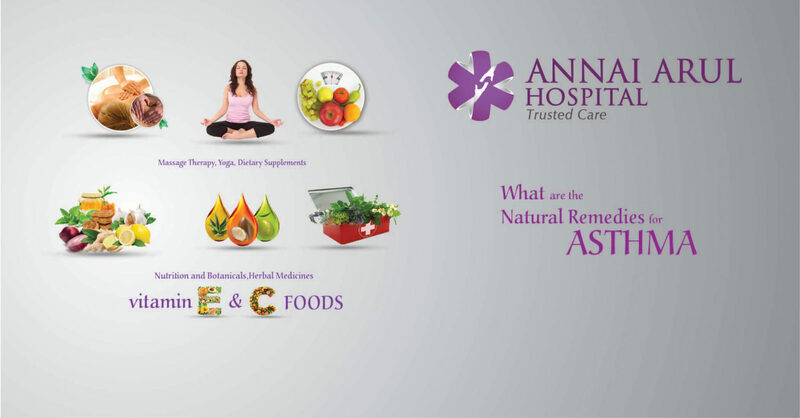 WHAT ARE THE NATURAL REMEDIES FOR ASTHMA? It is trend today to look for alternate medicine for every medical issue; likewise many people turn to natural remedies when they have asthma. The alternative medicine for asthma may include herbal medicines, dietary supplements, acupuncture, yoga, massage therapy, biofeedback, homeopathy, nutrition and botanicals. Here is a closer look at some of the more popular remedies. There are wide and varied choices in herbs, plants and supplements that have been used as a cure for asthma. Deeper studies have looked at using magnesium, omega – 3 fatty acids and antioxidant supplements like vitamin C and vitamin E to treat asthma symptoms. Though there is not much extensive evidence to prove the efficacy of these alternatives for asthma treatment. There is always stress in daily life and when this stress is continuous and goes beyond a certain threshold it causes asthma symptoms. It is found that many breathing exercise especially yoga breathing exercises help the patient control their breathing, relieve stress and controls asthma. Many people are allergic to certain foods and avoiding these foods while using alternate diet can prevent allergic reaction due to choice of food. Since allergies give rise to an asthma attack it is best to avoid these foods and control the asthma. The process of controlling your heart rate can help in asthma management but nothing conclusive has been proven about this option. Many of the herbs and medicines have not been thoroughly tested hence cannot be taken as authorised medication for treating asthma. Some of these herbs are found to react with drugs already being used and cause complications. Like an herb used for treating inflammation is found to cause bleeding in those patients who are already taking blood thinners. The liquorice roots which are considered to ease breathing can actually increase the blood pressure. It is thus always better to take herbal medicines in consultation with your doctor. If an herbal medicine is causing any sort of complication then there are symptoms like nausea, rapid heartbeat, anxiety, insomnia, diarrhoea and skin rashes which can caution the patient and can be immediately stopped.